Welcome to Candlewood Suites Olympia-Lacey! Travelers of all kinds stay at Candlewood Suites Olympia-Lacey when having the comforts of home is a top priority. Conveniently located right off I-5, which leads to Olympia, making it easy to travel to attractions and businesses in Lacey. 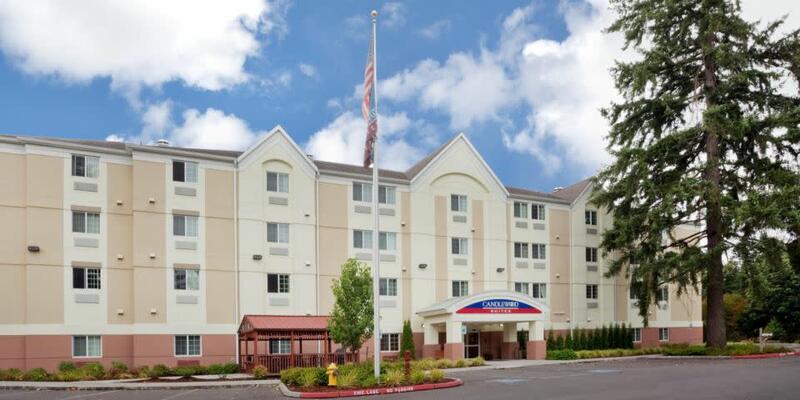 Our extended stay hotel is centrally located for guests whose business takes them to the state capital of Olympia, JBLM, Providence St. Peter Hospital and major corporate campuses. Lodging here gives you easy access to the 600 square foot meeting room and business center, perfect for accommodating your business needs. 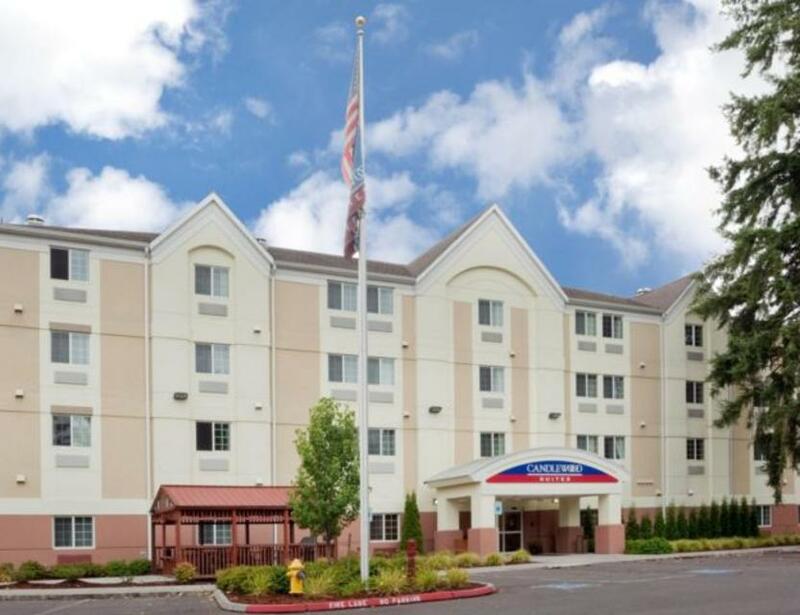 The hotel is conveniently located near popular tourist sites like Mount Rainier, Mount St. Helens, Ocean Shores and Cabela's, where the avid outdoors person will enjoy exhibits and an aquarium. The gorgeous campus of St. Martin's University, a vibrant center for arts and culture in Lacey, is just steps from the hotel. Hotel amenities include the Candlewood Cupboard store and a DVD lending library, the conveniences you deserve when you're away from home. Keep up your daily routine in our on-site fitness center. Each suite has a fully-equipped granite kitchen, a workspace with a desk and free high-speed internet access. Come enjoy the comforts of home at Candlewood. Book your reservations now for a great deal.